The Forklift Center is the ultimate destination for people looking to rent, service or buy forklifts in the United States. Can't decide between a new or used forklift? Let us help. Our experts across the country help you evaluate all of your material handling purchases and planning. Any company looking to maximize their material handling investment can compare sit-down rider forklifts, order pickers, electric forklifts, reach trucks and more. With such a wide range of forklifts available just knowing what you need can be tough. We help you dig in and understand engine types, load capacities, decide between pneumatic or solid rubber and height requirements. Our local forklift truck experts can also help you understand the moving targets of emissions and safety requirements to ensure your team is safe and meets every government standard. Enter your zip code to find your area and see how The Forklift Center can help! Purchasing a forklift is not a one and done task. 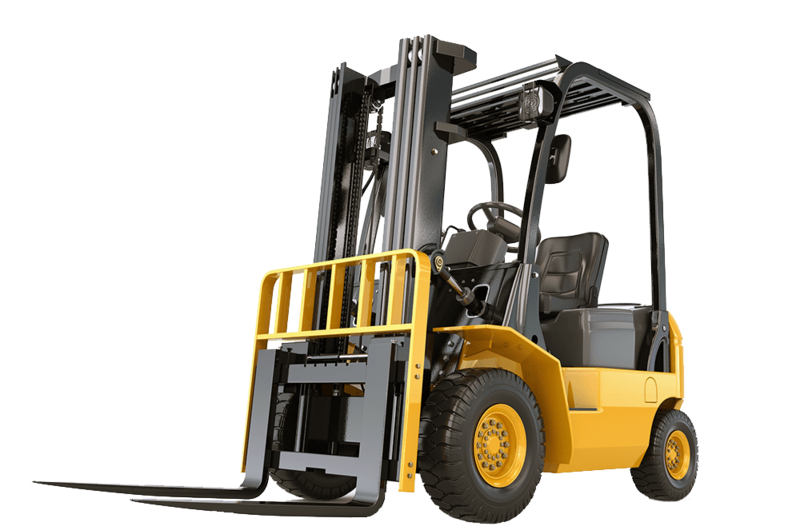 The typical forklift has a lifetime of over 7 years and will need multiple repairs and regular maintenance over that time period. With The Forklift Center you will partner with a responsive dealer who you can depend on so you can focus on growing your business. Many forklift dealers only focus on one niche of material handling equipment. When your business has needs that outgrow your current dealer, you can turn to The Forklift Center for a full range of forklift truck capacities and types including reach trucks, order pickers, narrow aisle and anything that helps move your inventory. Whether you are buying new or used, material handling equipment is a serious investment for the typical business owner. The Forklift Center employees are well versed in OSHA and local regulations to make sure that when you buy a forklift you will get the best deal without any unexpected setbacks. Budgets need to be flexible to deal with machine break downs and fluctuations in shipment sizes, which can keep warehouse managers on their toes. For smaller businesses not ready to buy equipment just yet, a forklift rental can help you dip your toe in the market for a temporary look at how much more efficient your operation can be. We also help larger operations, who rent forklifts for seasonal or order increases, to find what they need on a daily, weekly and monthly rental period. Research the forklift you need, compare forklift rental rates to make sure you are not leaving money on the table, and have your lift delivered all within a day. What type of certification is necessary for my operators? OSHA (Occupational Safety & Health Administration) is the government agency that sets standards for training requirements in the workplace. Most dealers offer the forklift training required to meet OSHA standards, and there are even online courses that allow you to learn from your home or office. How do I choose the best type of forklift for my job? If this is your first time renting or buying a forklift, selecting the right size and type of lift is the most critical part of the whole process. Forklifts are highly specialized and there is no 'Swiss Army' forklift that can do it all, so it is important to fully understand both the work environment (surface type, aisle width, shelf height, etc.) and the materials that need to be moved (pipe, pallets, boxes, etc.). You can research our choosing a new or used forklift guide as well but it is important to talk with a material handling professional before making your decision. Rates vary widely depending on the size of the forklift and your zip code so it is important to compare rates. You will have daily, weekly and monthly rental rate choices, and rates will typically range from $90 per day up to $300 per day for high capacity forklifts. Cheapest is not always the way to go, you need to work with a reliable company so your crew is safe and not left with delays because your rental forklift broke down in the middle of a workday. 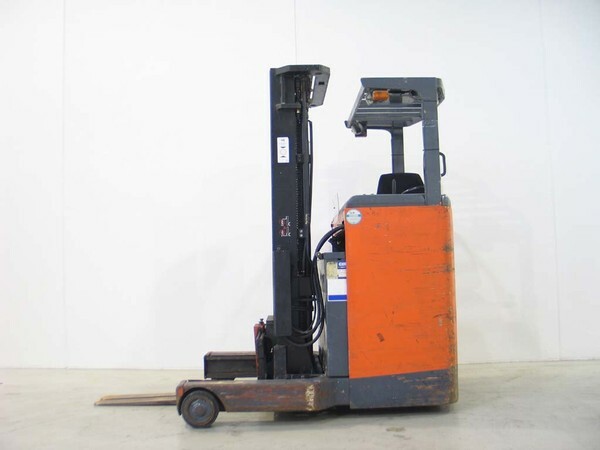 How much will I save buying a used forklift vs. new? Just as with cars, you can find a huge range of prices on used forklifts with savings of up to 80% from a new lift. There are of course a host of hazards that come with used vehicles, especially if purchasing from an individual. Dealers can provide inspection guarantees and professional overhauls of each used unit they sell. Every used forklift needs to be evaluated based on a number of factors including the environment is has been operated in, total hours, quality of maintenance, and the original manufacturer. Some brands like CAT and Toyota forklifts can run well over 10,000 without needing serious overhauls. Will the forklift be delivered or do I need to pick it up? You have a choice, if you are able to pick up the forklift with your own equipment then you will save on delivery fees. Yes you will need liability insurance to cover anyone potentially injured and to cover the equipment. This is usually set up when you create an account with your dealer, and they will often connect directly with your insurance company to be named on your coverage. You can also purchase additional protection plans for potential vehicle damage. Is there any special training that I need to operate a forklift? Yes, you or your employees will need to be trained and certified according to OSHA's standards. Read more about this on The Forklift Center's forklift safety OSHA requirements guide. What happens if I rent a forklift and it breaks down at my job site? Most dealers will have mechanics on call during standard business hours to respond and either provide an equivalent forklift or repair the forklift on location if possible. What type of tires should I have on my forklift? You have four basic types to choose from in rough terrain, pneumatic (air filled), cushion tire and polyurethane. Take a look at our guide to selecting forklift tires here, or pick up the phone to talk to an agent who can give you custom advice on which is your best bet. How often will my forklift need service? This will always vary based on how much and how hard you use the lift truck. Preventative maintenance on your forklift is recommended every five months or for every 900 - 1,100 hours of operation, whether it is just an oil change or a more comprehensive service. Each manufacturer will also provide guidelines for each piece of equipment. How do I choose between a propane and an electric forklift? Both are great options for indoor use where quality of air and noise abatement are concerns. For the manager responsible for equipment and costs, you will need to evaluate the long term costs of fuel vs electricity, parts replacement and initial capital outlay. Electric forklifts cost less on average for ongoing maintenance, but a replacement battery can cost thousands, so a new electric may be more attractive than a used one.